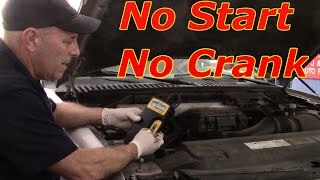 In this video I go over how you can perform a no crank no start diagnosis, whether all you hear is a click or even if the battery tests good but won't start. 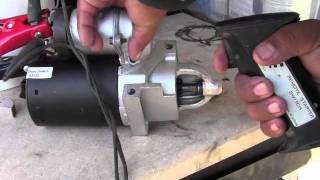 There are tests you can do to verify all the different components of your starting system. 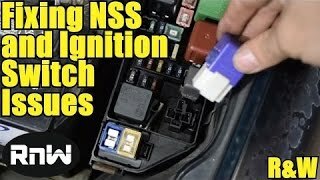 Including your Neutral safety switch (NSS) or Clutch pedal position sensor if you have a manual transmission, your starter relay, the connectors going in and out of your starter including the A, B and S terminals and your Ignition Switch. 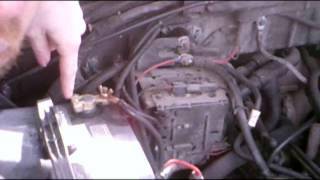 1998 camry 3.0l no crank no click no turn on. 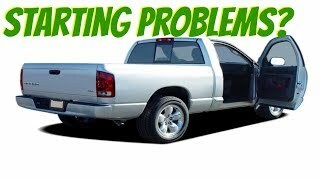 The OBD2 reading say: Crank Shaft Sensor error. 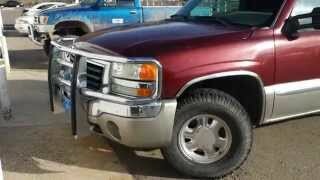 The timing belt, battery, terminals is good. Very detailed and well explained! Thanks for showing everything too! Love all your videos! Wow! 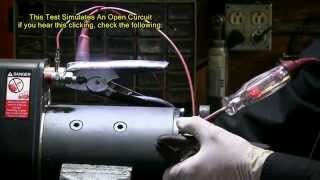 I finally found a competent YouTube mechanic who knows how to troubleshoot and replace a battery. 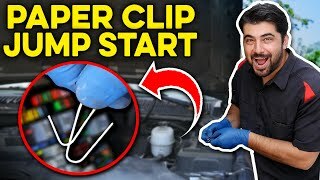 my camry was stucked along the road shoulder for a few hours waiting for a mechanic withvthe same issue..after watching ur video..i personally checked and cleaned all fuses, starter, battery connector and terminals..boom! my car just started magically! 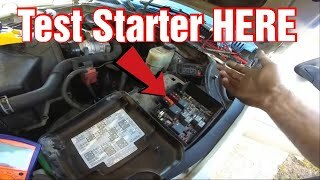 i thought my starter was totally busted..thanks for ur informative video..it really helps! Thank you for such a clear, thorough and informative video! 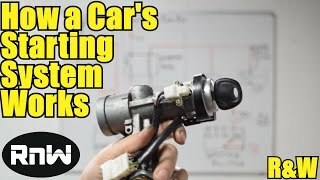 What if a starter works on the bench and on the car it just clicks once every time I turn the key? 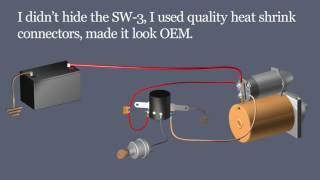 What if I'm only getting 3.5 volts to the solenoid. Would this be the ignition switch? I swapped relays and that didn't change anything. 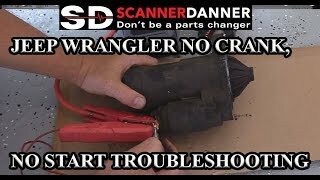 If I take a jumper wire directly to the battery post it will crank. This problem is intermittent. Super helpful and thorough. Thank you for taking the time to make an easy to follow video. Hi, my car had same issue..no crank no start..tested battery and its good..relay is good.. i removed the relay and gave a direct crank and it started...but after engine runs for 15 _20 mins. I can start the engine through ignition key...can u guess where and what the problem is.. 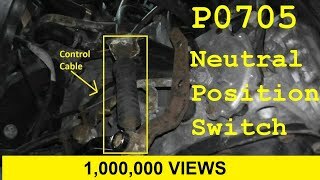 If no power, or vey little power, despite a good battery and/or efforts to jump it, check the battery terminal connections, but also the negative cable where it attaches to the car for ground. I had this issue on the coldest (deep freeze) day of the year. I'm sure the metal shrinking in the cold temperatures helped to cause this problem. Besides corrosion, there were deposits from arching that also insulated the sides of the connection. Cleaned it and problem solved. MY 97 automatic accord has a no crank no start problem but, it has a p1298 check engine code. 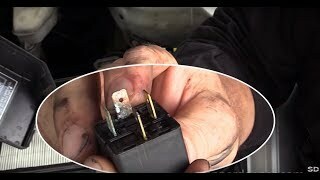 FEw days ago I had to move the under hood fuse box to get to a screw. I disconnected the battery before unscrewing stuff from the fuse box. It ran for couple days but, struggled to start for a bit til eventually it does not start. Is that 1298 code related to this no crank no start or two separate issues. 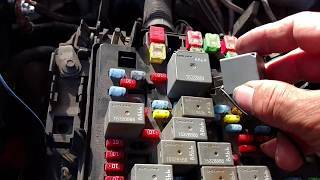 I read that the 1298 issue is a electric load detector problem that is in the fuse box but, I'm not sure if it is causing the no crank no start issue. PLease help. At 1:12, when you do the voltage drop test at the battery post, you need to have a load placed on the battery. in other words you need current flowing. 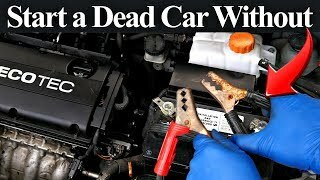 Its the same as doing the voltage drop test from the battery to the starter. 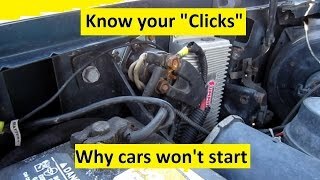 In a 12V system the maximum allowable voltage drop is 0.5V which is best done with an scope since the starter puts a varying load on the battery when the car is stated. Thanks! You do a great job of explaining things. Hopefully it helps me get my car started! Sadly none of this worked.. Your are ASE Certified, I can tell you are no back yard mechnanic thanks for sharing your tech experience.You broke it down so that anybody could understand. 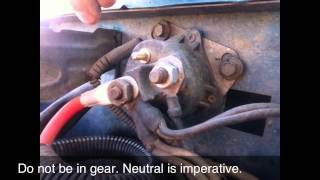 How To Test A Starter Without Having To Touch The starter. 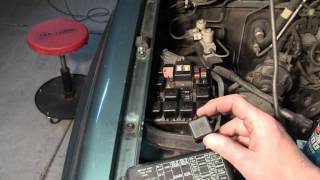 DIY- How to Diagnose a No Start LIKE A BOSS!!!! 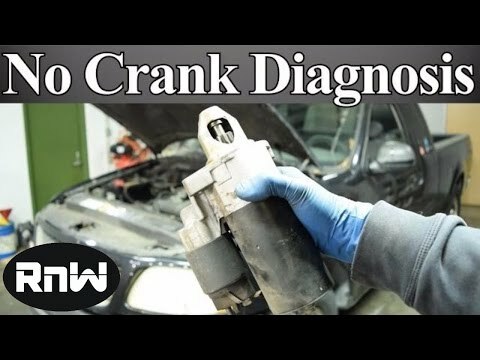 No Crank, No Start troubleshooting, Is my starter bad?